There are more flavors to explore outside the usual stops. 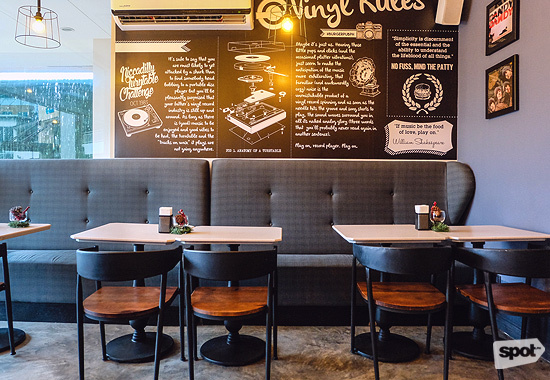 (SPOT.ph) Kapitolyo in Pasig has already established itself as a foodie hub, famous for giving a leg up to popular franchises like Silantro and being home to dining destinations such as Mama Rosa, RUB, and Little Bear Diner. But it's a big city and there are more eats to it outside this delicious destination. And the best part—not to discount Kapitolyo in any way—is that these places make parking easier, too! From Filipino to Japanese, Mexican to Caribbean, the rest of Pasig can satisfy your every food craving. Named after the Tokyo district that's legendary for their tempura restaurants, Asakusa aims to be the go-to for deep-fried Japanese delights. If you can’t choose from their five tempura sets, start your own tempura adventure by choosing your preferred sides and sauce. Not into tempura? 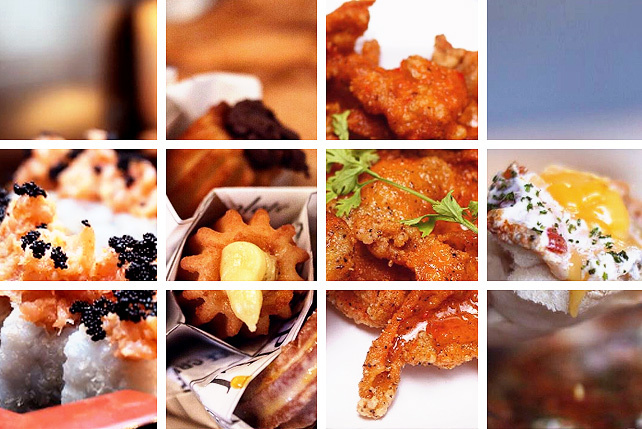 Asakusa has other Japanese favorites—designed with a Filipino twist! P.S. Asakusa also offers delivery, so you don't even have to be in Pasig to enjoy it. Call their hotline at 941-0157. 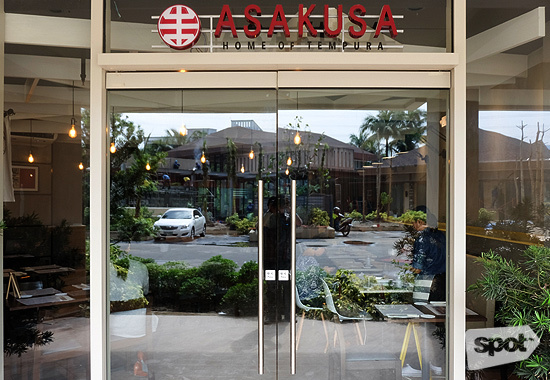 Asakusa is at The Grove by Rockwell, 117 E. Rodriguez Avenue, Pasig City. Read more about Asakusa. 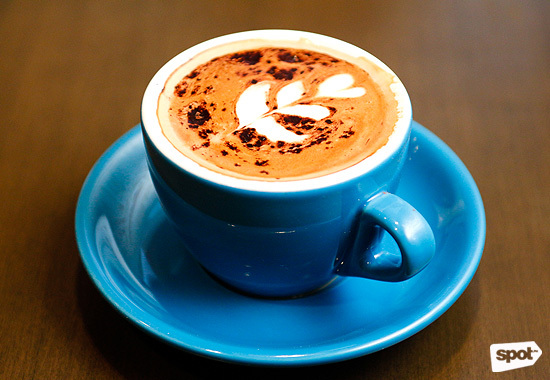 Introducing Manila to Melbourne's community-oriented coffee culture is Where’s Marcel?. This coffee shop is eager to give you the ultimate caffeine experience by sourcing beans from two countries noted for their coffee production—Costa Rica and Colombia. To appeal to Filipinos, they also tapped celebrity chef Sau del Rosario to come up with a light food menu that would work wonderfully with their brews. Where’s Marcel? is at The Pearl Place, Pearl Drive, Ortigas, Pasig City. Read more about Where's Marcel?. There's no need to be sad over the closure of Sunshine Kitchen. Think of The Stockpile as Sunshine Kitchen 2.0. With business partners Geoff and Gabby Eigenmann, Chef Tanya Chua uses this new spot to revive some of her hearty, comforting specialties—and even improves on them. 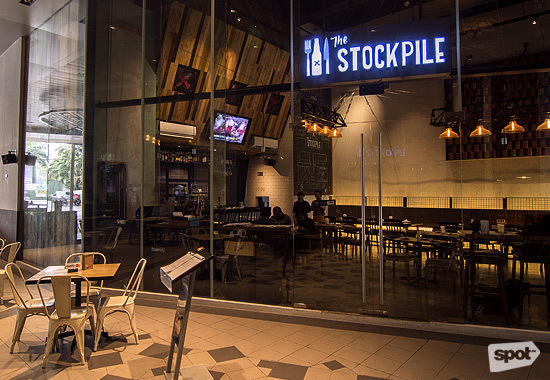 The Stockpile is at Sapphire Bloc, Sapphire Road, Ortigas Center, Pasig City. Read more about Stockpile. Alley makes their obscure location worth the hunt by offering stunning sandwiches. 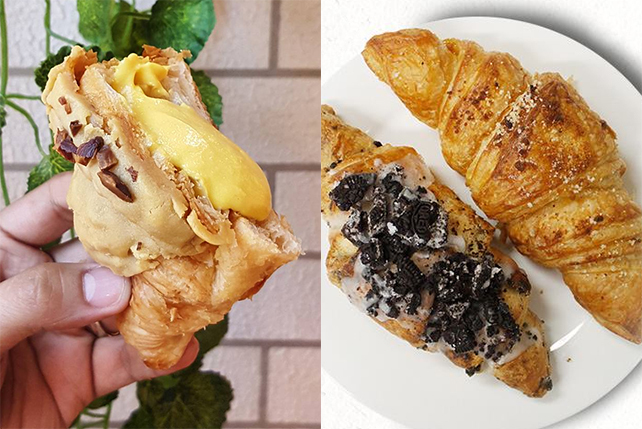 Rather than get away with easy crowd-pleasers, Chef Thirdy Dolatre offers one-of-a kind sammies where the fillings are complemented with their own special bread. Because they want to offer customers a premium experience, everything is made fresh and in-house—from the buns to the pickled vegetables to the vinegar to the sauces to the ice cream. Alley is at The Grove by Rockwell, 117 E. Rodriguez Avenue, Pasig City. Read more about Alley. Modern interiors, concrete floors, a colorful mural, an open kitchen and thoughtful details scribbled on windows and walls transport you to Tokyo's world-famous Tsukiji Market. Shinsen, whose name comes from the Japanese word meaning "fresh," allows their customers to experience the best of Japanese cuisine through great ingredients. Their chefs have 20 years of training under their belts, so you know you're getting only the good stuff. 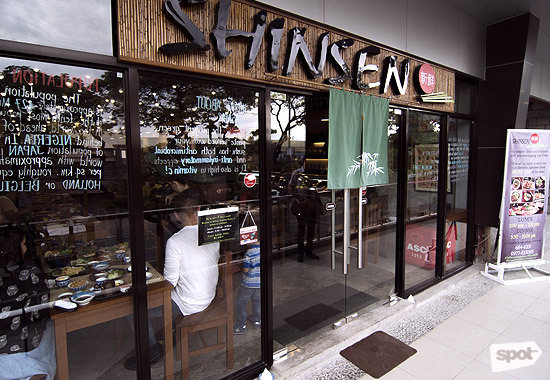 Shinsen is at Unit 202 Hampton Gardens Arcade, 100 C. Raymundo Street, Barangay Maybunga, Pasig City. Read more about Shinsen. Looking for a place to have good booze, good food, and good music? Burger Pub might be what you're looking for. JP and Richard Lim make sure to prep their own burgers from scratch, a meticulous method that allows them a certain level of control to make sure their final products are delicious and tasty. Their beef is imported from Canada, and having that great base allows them to keep the embellishments simple and let the meat do the work. Burger Pub is at The Grove by Rockwell, 117 E. Rodriguez Avenue, Pasig City. Read more about Burger Pub. Lo de Alberto is more of a stall than a restaurant. 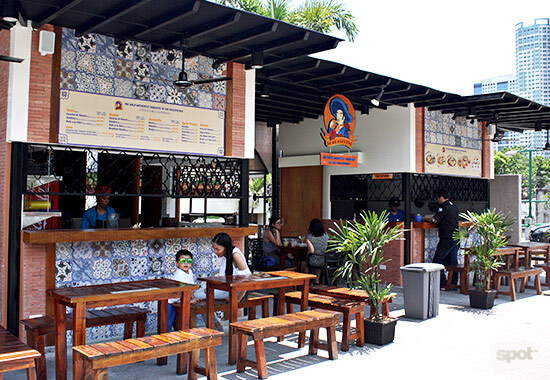 It's where Mexican-born-and-bred chef Balam Nazar marries Mexican authenticity with Filipino preferences. More impressive than the flavors he generates is how he manages to make everything from scratch—including the tortillas—in his tight little kitchen. Lo de Alberto is at City Golf, Julia Vargas Avenue, Pasig City. Read more about Lo de Alberto. Cazuela, which is the Spanish word for "casserole," is a melting pot of Spanish, Latin American, and Asian cuisine. Chef Andre Soriano has a no-shortcuts approach to cooking—a style that works best with the premium ingredients that make up Cazuela's dishes. 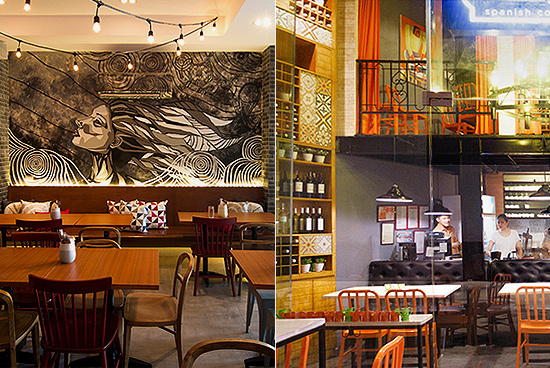 We love how this colorful restaurant offers familiar dishes that are so delicious, they can't help but still stand out. 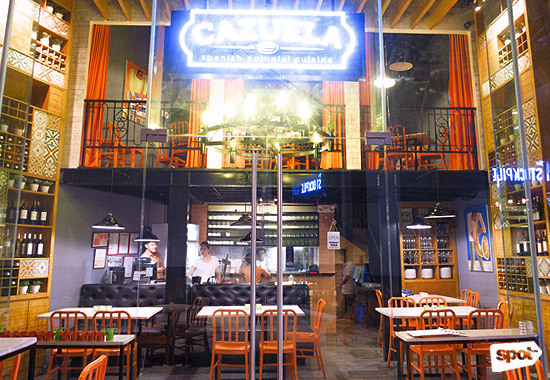 Cazuela is at Sapphire Bloc, Sapphire Road, Ortigas Center, Pasig City. Read more about Cazuela. Chef Justin David wants you to appreciate the fragrant and spice-heavy cuisine of the Caribbean. Wagga Wagga Jerk Chicken may be hard to find (it's inside a compound, behind an alley of auto shops), but it's a bright yellow oasis in the middle of busy Ortigas. 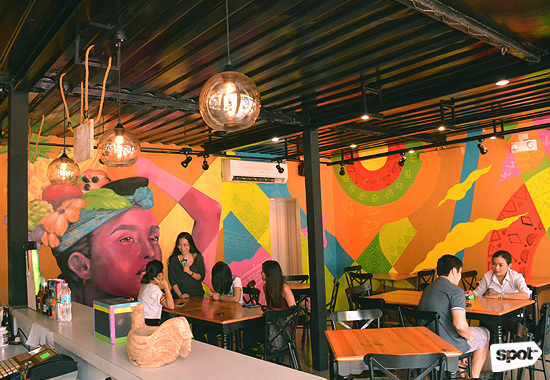 To complement their vibrant cuisine, co-owner and street artist Kookoo Ramos filled the walls with colorful murals that are a must-see in their own right. Must-tries: Caribbean Sausage and Bean Sliders (P185/three pieces, P320/six pieces), Jerk Chicken (P195/single fillet, P225/double fillet). Wagga Wagga Jerk Chicken is at 88 Meralco Avenue Corner Julia Vargas Avenue, Ortigas Center, Pasig City. Read more about Wagga Wagga Jerk Chicken. 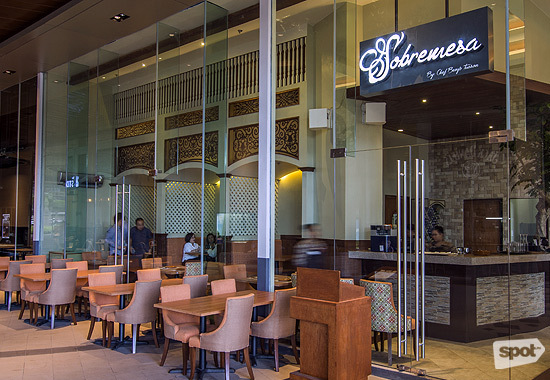 South American and Filipino cuisines meet at Sobremesa. 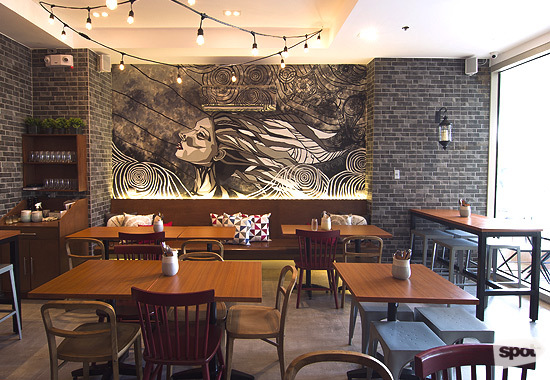 With a name that loosely translates to "exchanging stories after eating," the fine folks behind this fusion restaurant tailor their style to be group-friendly, from the interiors to the food. To emphasize that homey vibe, Chef Benjo Tuason actually updates his family's old recipes for the menu. Sobremesa is at The Sapphire Bloc, Sapphire Road, Ortigas Center, Pasig City. Read more about Sobremesa.